Snipper App is a native snippets manager, built with Swift4 for MacOS exclusively, aiming to be a single tool for saving your day to day working notes, snippets of code, and just a good helper in the developer's life. With the iCloud storage, your snippets will be stored in the cloud by your Apple ID, and it allows to sync the user's data between multiple apps on the different computers. It's really handy when you want to share your snippets on the working machine, and the personal one at the same time. Snipper designed in a way to support multiple storages, and the supported storage types will be extended in the next versions. Local storage is designed to store your snippets only locally. iCloud storage uses a private database. Only the user can access this data through a device authenticated with their iCloud account. 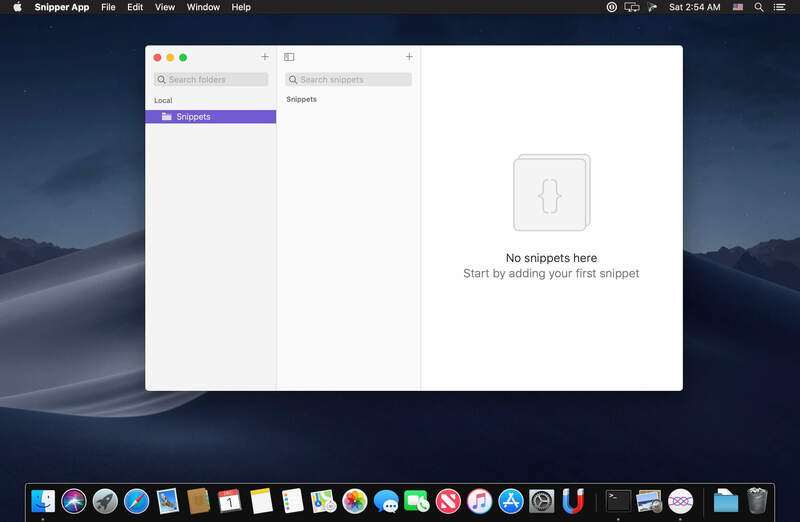 Snipper is designed and implemented as the offline first application, so the iCloud storage doesn't require a constant internet connection when your work with it. The editor is built in a way to fit developer needs.